The IAS XR3000™ Family of Remote Monitoring and Control products, adds the ultimate flexibility and control to your automation projects. IAS X3000™ models can work in tandem with Modbus capable pump and engine controllers, and can also function as stand-alone controllers. 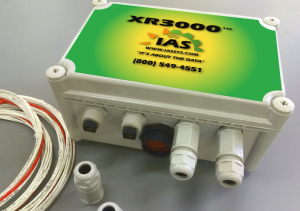 Adding wireless IAS Remote Sensor Units to your XR3000™ allows automatic control based on remote environmental conditions.